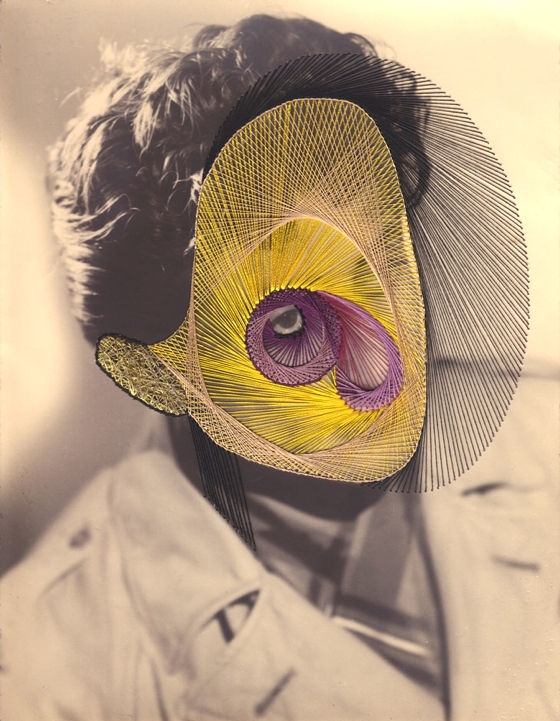 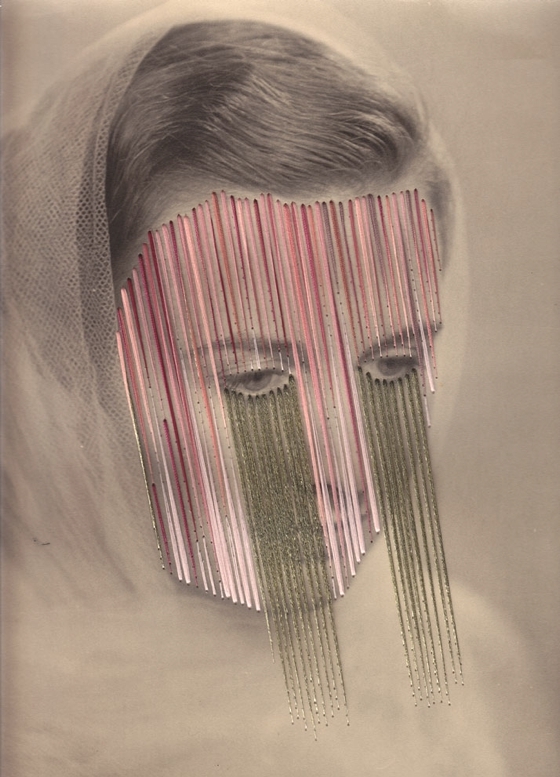 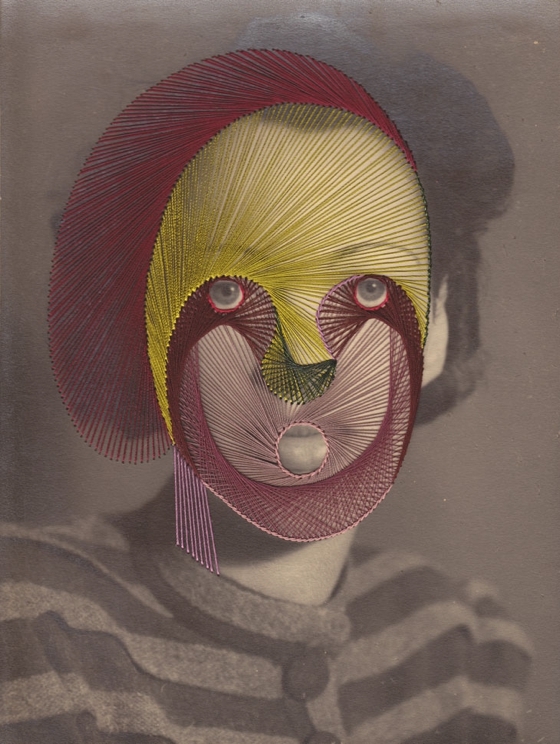 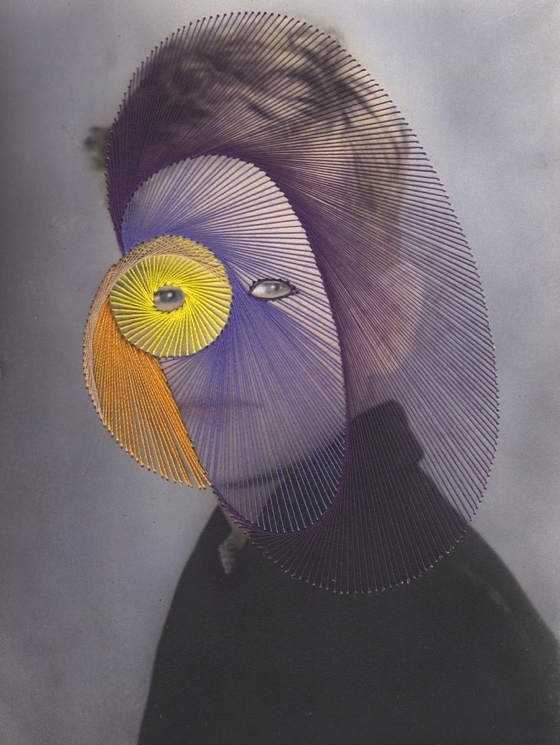 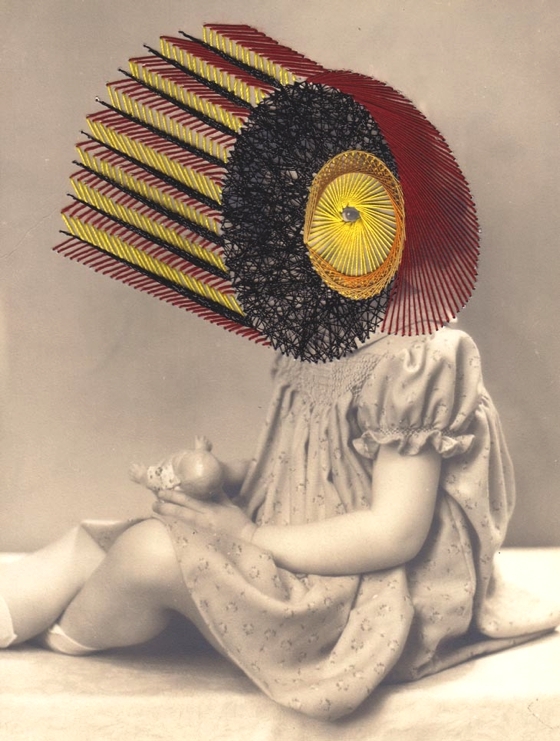 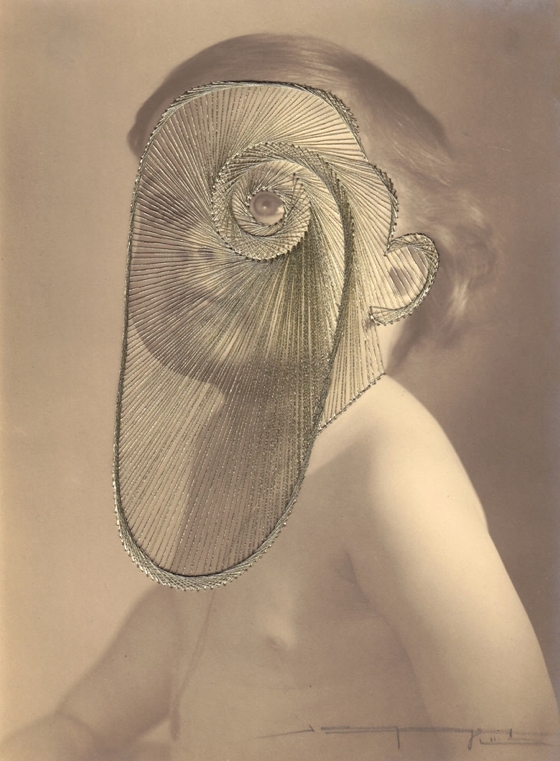 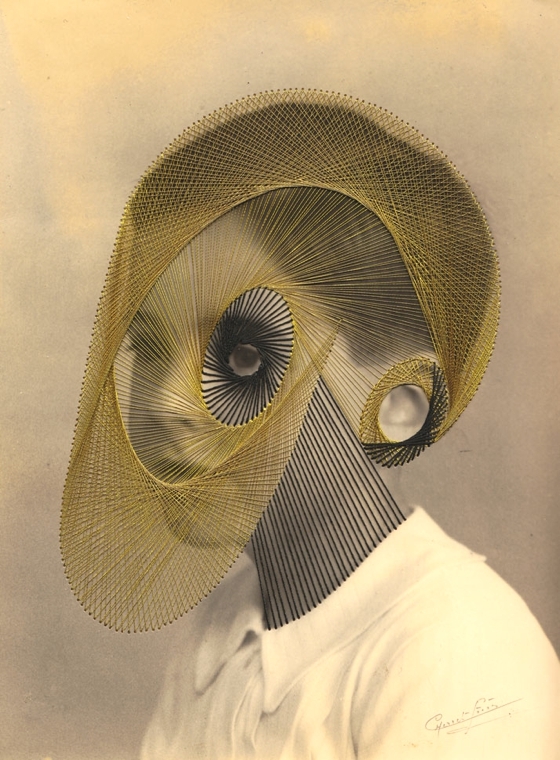 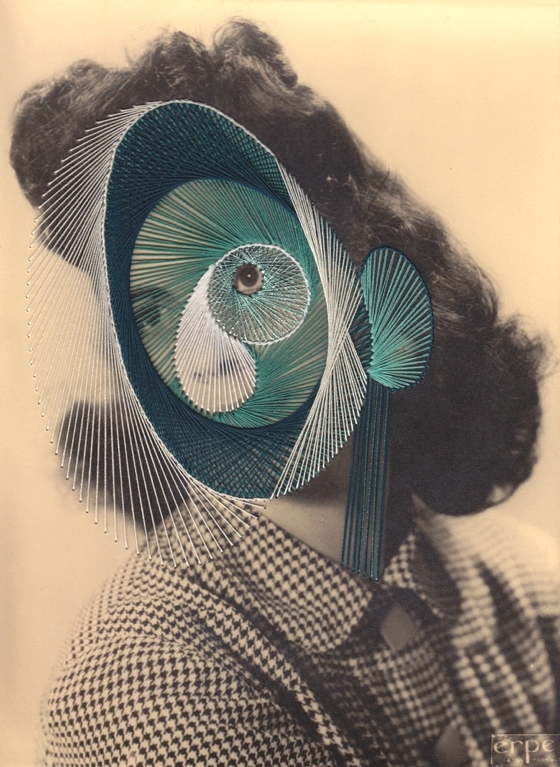 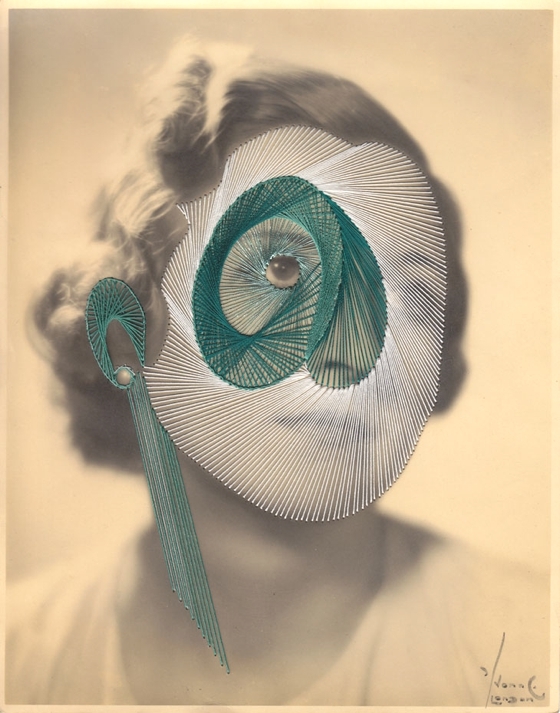 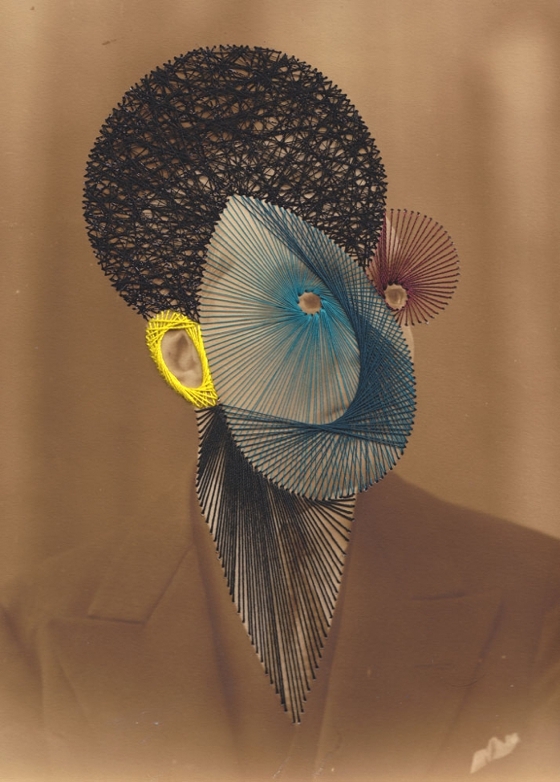 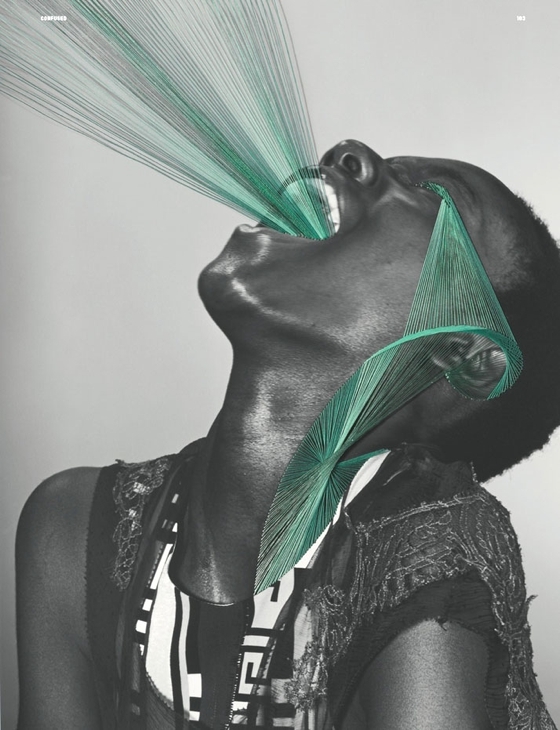 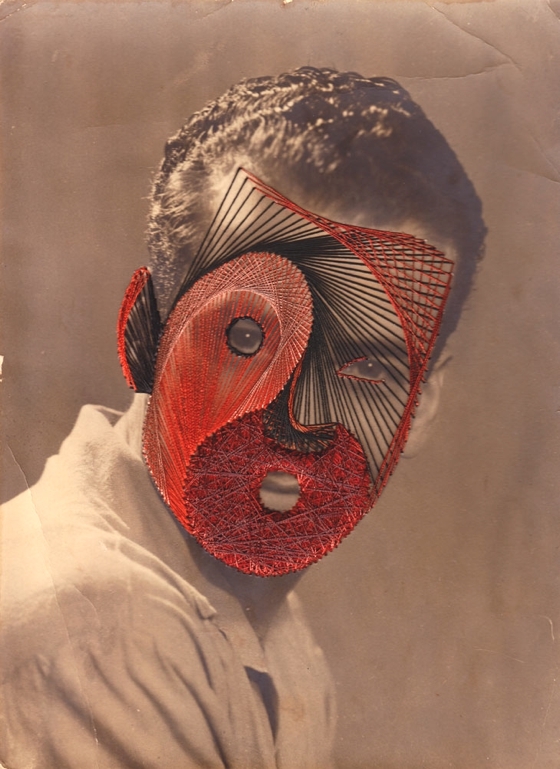 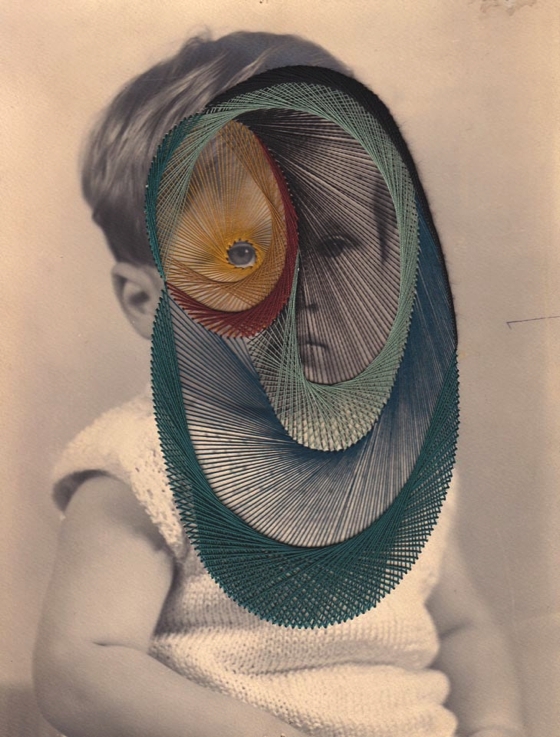 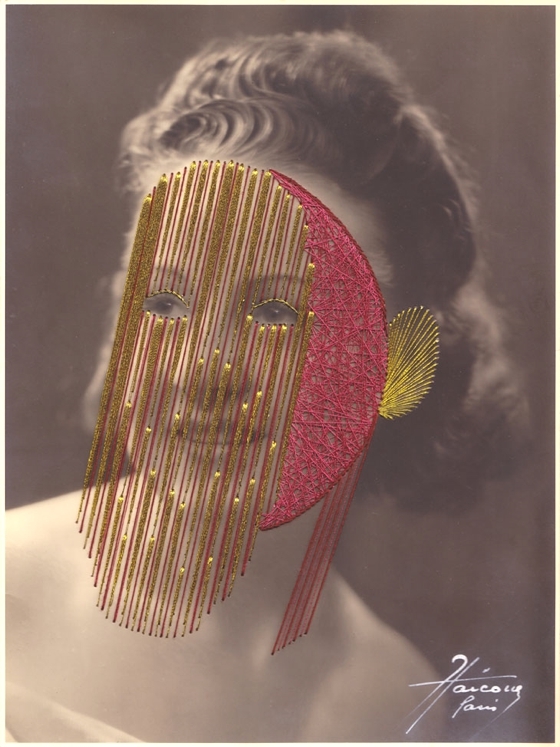 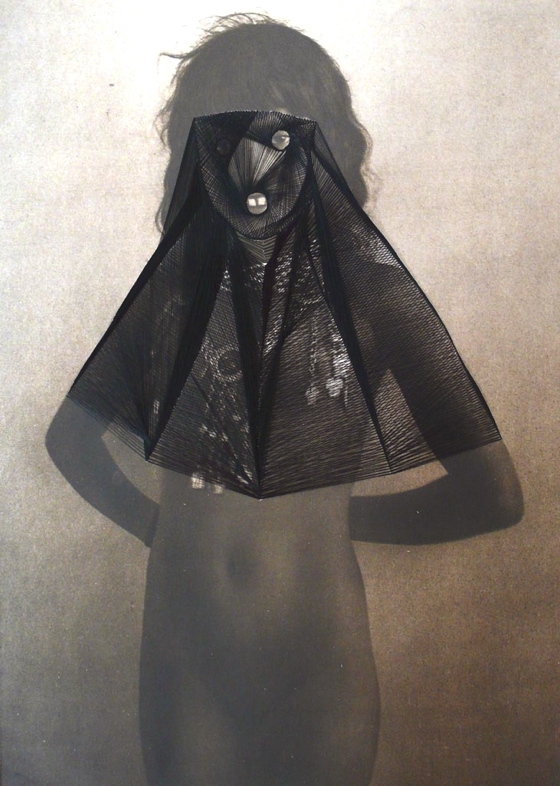 Maurizio Anzeri, italian artist that lives and works in London, realizes his artworks sewing and embroidering these beautiful geometric patterns on "vintage" photos. 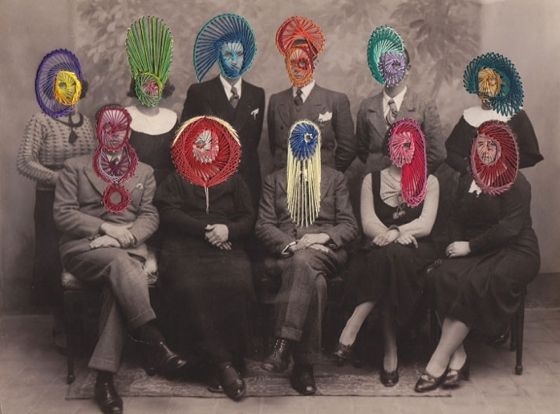 It gets intense and enigmatic portraits, where the embroidery is not only a decorative element, but it contributes to define the people psychology or to evoke thoughts and feelings. 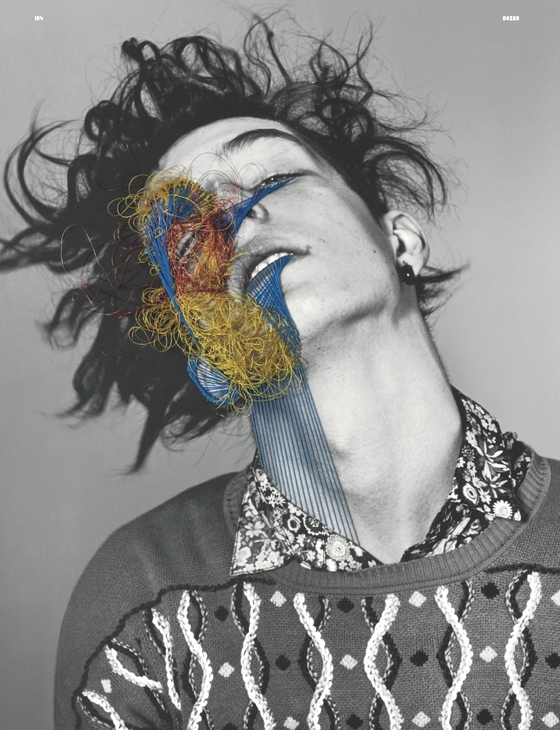 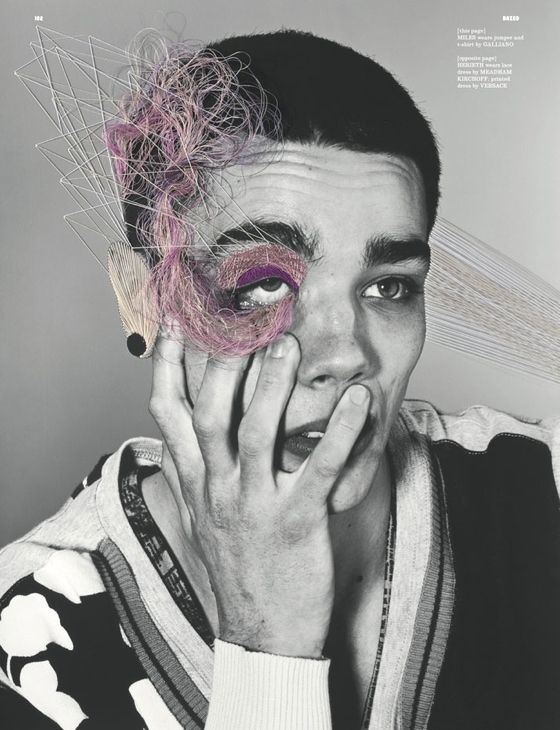 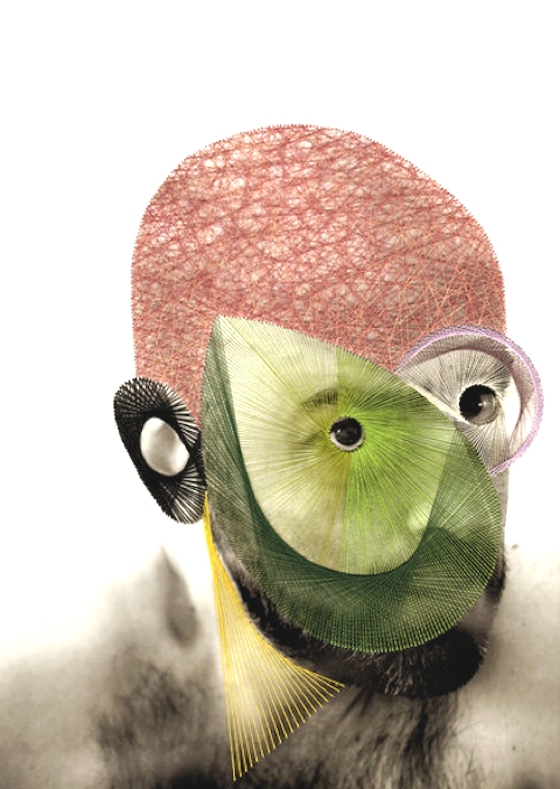 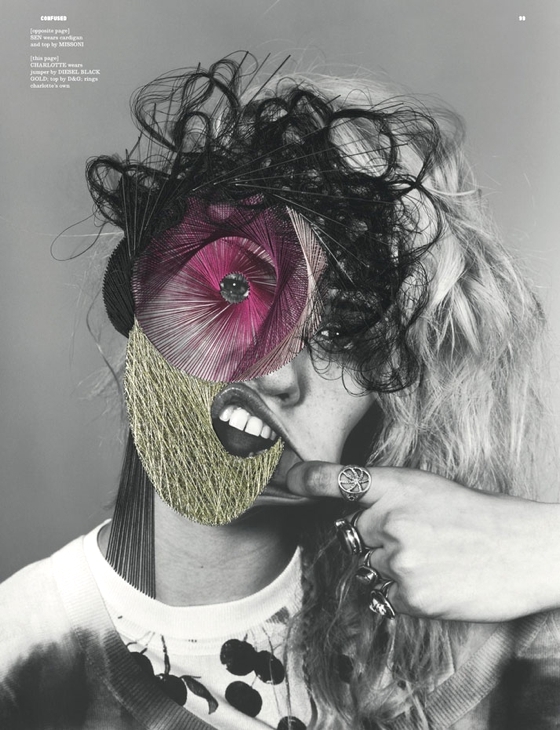 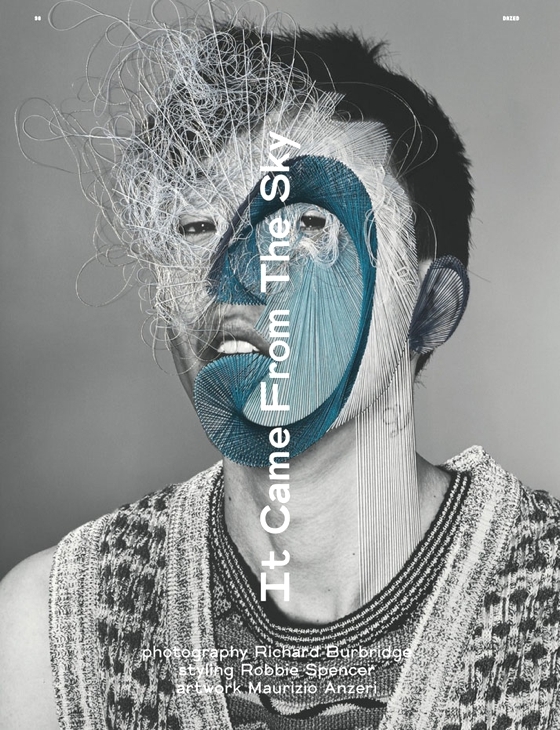 Besides the artworks realized on aged photo, i also propose you a beautiful work for June 2011 issue of Dazed & Confused. 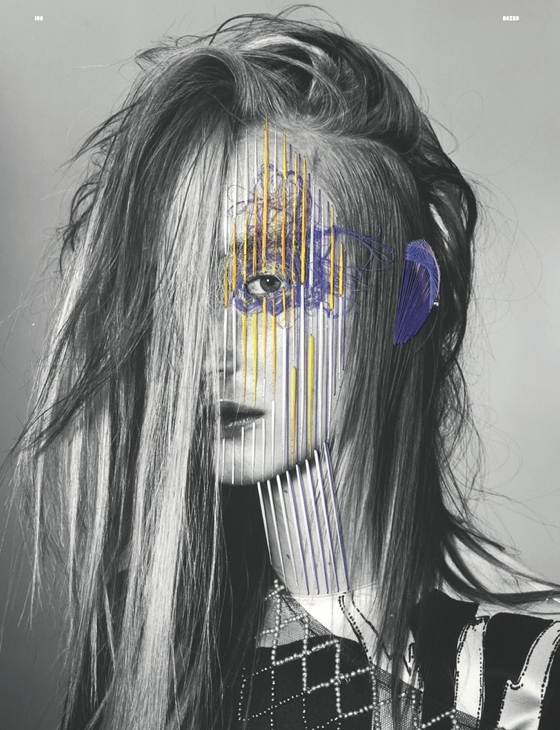 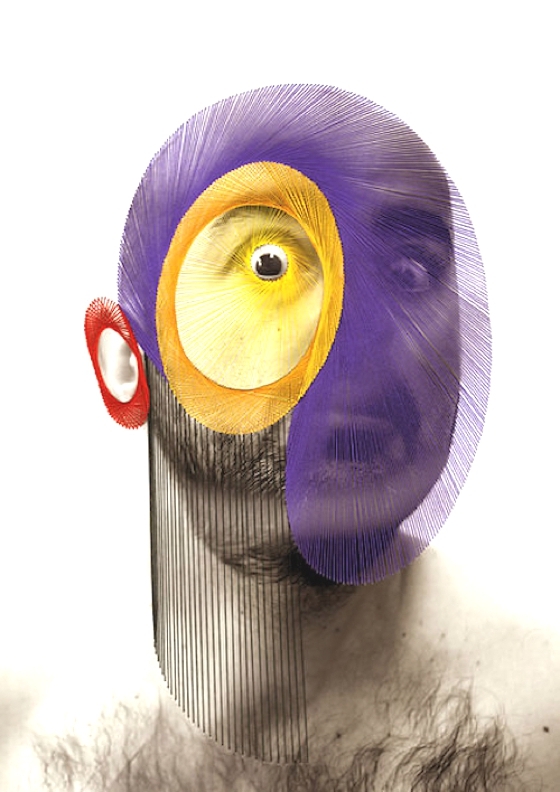 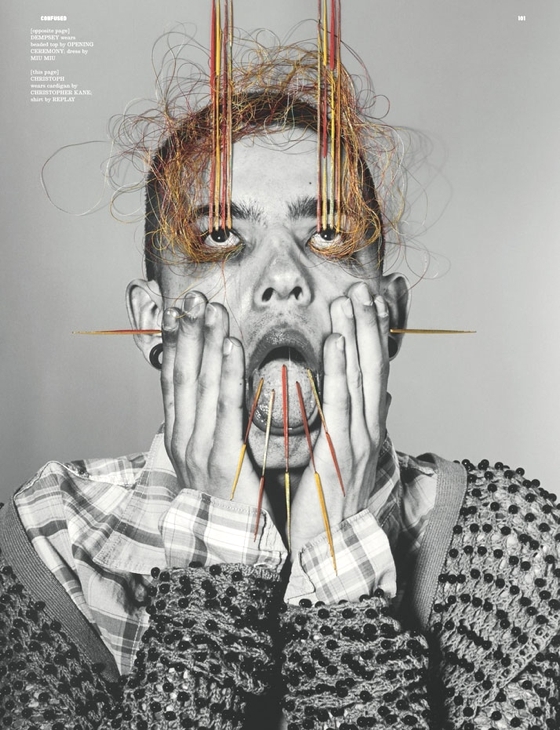 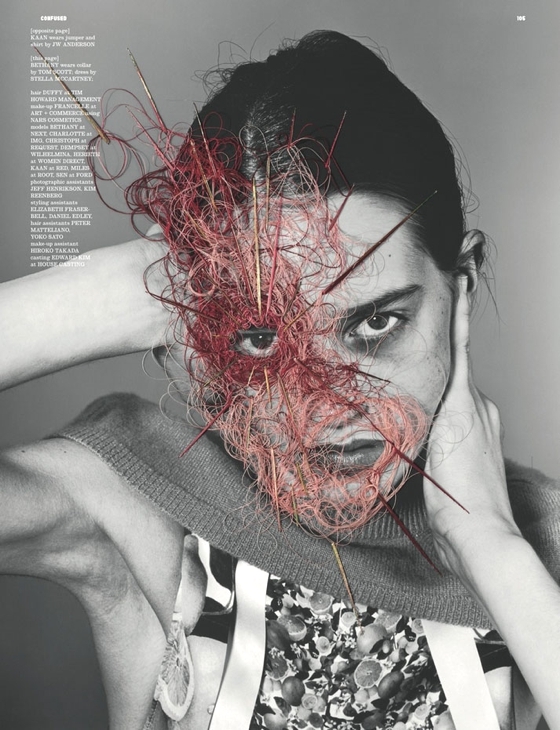 Here Anzeri has realized the artworks on pictures of photographer Richard Burbridge (styling by Robbie Spencer).